Going back to the world history, one could see that unions play an important part in the development of the society. These developments mark an important phase of forwarding from an epoch to another because they are not a mere wage increase or improvement in the working place of the workers. These very developments have impact on the prevailing economic and political system thus, affecting the rest of the population aside from the workers. Because of this effect, the business owners around the world have been skeptical about unions and have been devising strategies on how to pacify it. The truth remains however that unions are powerful as long as the workers are united. It would be best to know what a union is to fully grasp its power. A union is an organized group of workers who collectively work together to ensure that their rights and benefits will be realized to the highest level possible as permitted by the law. 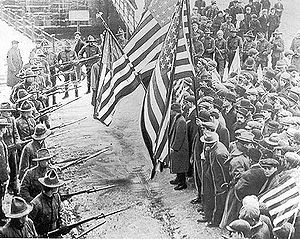 Sometimes, the organized effort of unions leads to the amendment, abrogation, or formulation of a new law. That is how powerful the unions are. Ranking on the 10th place is the United Auto Workers (UAW) who has 390,000 members. It is linked with the auto industry but its members came from different fields and their collective bargaining power have resulted to the first health insurance paid by the employer. This is only one of the many negotiations won by UAW. The Canadian Labour Congress (CLC) comes in the 9th place. Unlike UAW, CLC is not a labor union. Rather, it is a federation of unions in Canada that has undeniable inclination to support strikes. With 31,000 members, the California Correctional Peace Officers Association (CCPOA) was able to succeed in lobbying for a high compensation for correction officers reaching to over six figures in a year. This puts them in the 8th rank. The International Brotherhood of Electrical Workers (IBEW) ranks 7th while United Steel Workers (USW) ranks 6th. USW is considered the biggest industrial labor union in North America. The International Brotherhood of Teamsters (IBT) is a well-known labor union because there are rumors that it has ties with the mafia. Whether that is true or not, it is undeniable that this union paved way for the National Labor Relations Act and Fair Labor Standards Act to be passed and deserves to be in the 5th place. The United Food and Commercial Workers International Union (UFCW) represents workers from different fields like retail stores, factories, drug stores and grocery stores. This union proves to be a persistent headache for Wal-Mart for scoring the first collective agreement at all Wal-Mart in Canada thus achieving the 4th place in the ranking. On the 3rd place is the National Education Association who has a $300 million budget annually and is the oldest union for teachers in the United States. Meanwhile, the 2nd place belongs to the American Federation of State, Country and Municipal Employees (AFSCME). It is a major player in Washington for supporting Democratic candidates since 1989. Ranking 1st is the Service Employees International Union that is said to be the instrument in passing Obama’s healthcare legislation.